Building maintenance can be something that’s often overlooked until it’s too later and the damage has already been done. It can act as a preventative as well as being used to repair existing damage, ensuring that future costs are lessened as much as possible. Andy has over 30 years of experience with the skills involved in building maintenance, starting with graduating from the Cauldon College of building and acquiring skills throughout his career with a huge amount of experience under his belt. 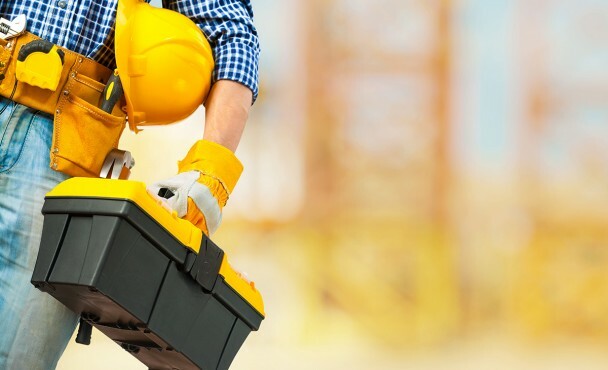 This means you can be guaranteed to receive the most professional, expert services of building maintenance that always be of the highest standard. It also means that Andy knows how frustrating it can be to find a contractor that doesn’t charge unreasonably high prices, so he always ensures that you know exactly what you’re paying for and are happy that you have received great value for money with the services he provides. Whether you need building maintenance on your home, garage, conservatory, commercial building or other building, Andy has the skill set and knowledge for the job. He has an excellent reputation with his past customers, many of whom have returned to him for more than one contracting job. His hard working ethic and consistently outstanding results keep him popular with clients, so get in touch if you’re looking for high quality building maintenance in Staffordshire. If you’re looking for someone to complete building maintenance to a high standard for excellent value prices, contact Andy here to discuss your job and get a quote. He’ll be more than happy to answer any queries you may have about building maintenance in general. As you can see from the map above, Andy and his team are based in Silverdale, but they cover the entire area of Staffordshire and beyond. Whether you’re from Trentham, Tunstall, Hanley, Kidsgrove, Loggerheads, Newcastle-under-Lyme or any other Staffordshire location, call Andy for building maintenance and know that you’re in safe hands with a local professional.